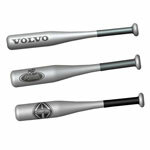 Products are continually being added to our line. 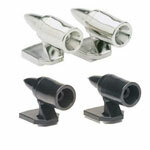 Please revisit our site often to see our new products and designs. 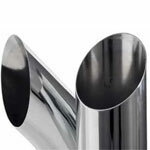 Our SuperPremium chrome exhaust stacks are available in 5" and 6", expanded and plain–end with the cool bullhorn, miter–cut and standard turnout styles. SuperPremium plating features a long–lasting, high–gloss shine, a durable mirror finish, and excellent rust and corrosion resistance. 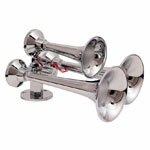 These deluxe horns feature 100-percent solid brass trumpets, inline solenoid valves and cast–metal supports and mounts. 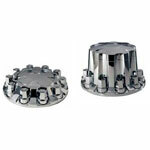 We also have the standard 6.25” bell 15” x 12” at an outstanding price. 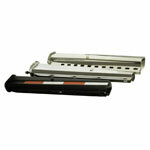 American Chrome’s heavy-duty OEM-grade mud flap hangers are manufactured from heavy-gauge steel with a spring-loaded option available in black powder coat, stainless and premium chrome. 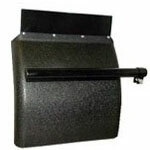 Our economy line of mud flap hangers comes in black powder-coated tempered steel.